Some of the best holidays are spent at the beach. Sun, striped towels and the abundant sea take you away to dreams beyond your office job or daily routine. How can you make the peaceful, calm and relaxed seaside vibe last until your next holiday? 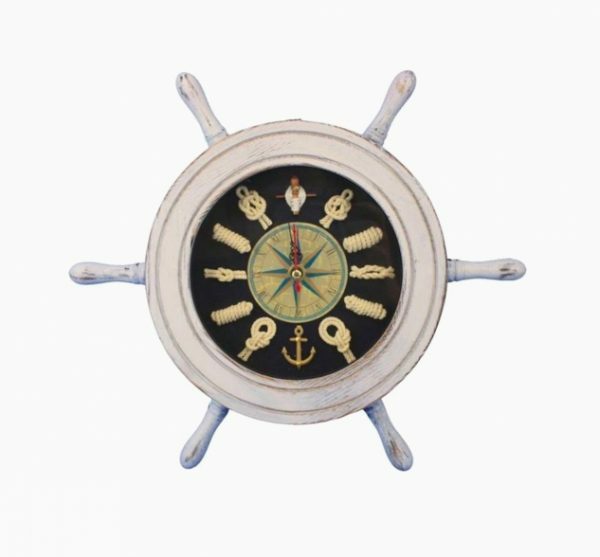 These fifty nautical home décor pieces are the next best thing to sand between your toes. Hang an anchor at your entrance, holding your coats, handbags and umbrellas. Serve a cheeseboard on a tortoise made of iron and wood. Wrap your legs inside a mermaid blanket, as you pore through your leftover book from the beachside. Get closer to your next holiday with our top 50 list. Glass Seashell Bowl: Hide trinkets from the seashore inside a seashell. This see-through beauty shows off lower-lying flora and fauna. Ceramic Nautical-Themed Shell Vase: For higher reeds, flowers and twisted cane, this ceramic shell vase adds oceanic inspiration. Let the water settle at its base to keep enclosed florals fresh. 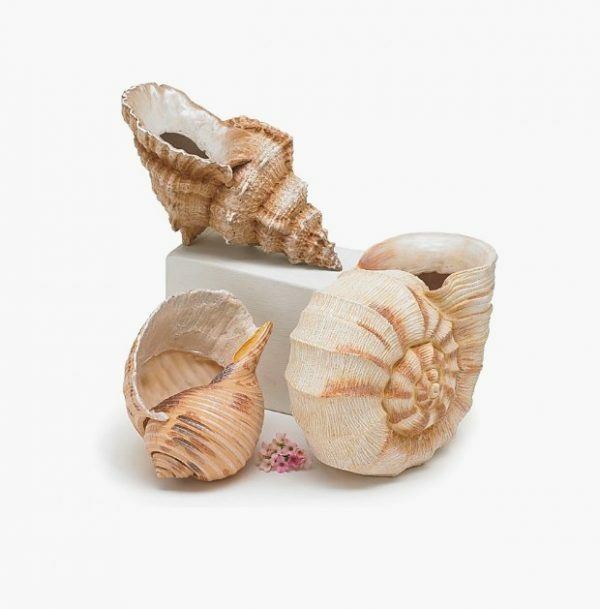 Seashell Planters: Want your planters to blend into the seascape? This set of three hand-painted vases hold your smaller, larger and largest flower posies. 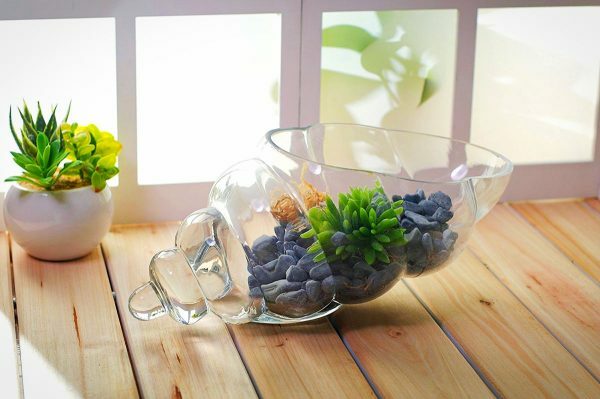 Fish-Shaped Bowl: Want an animalistic way to show off your pebbles? 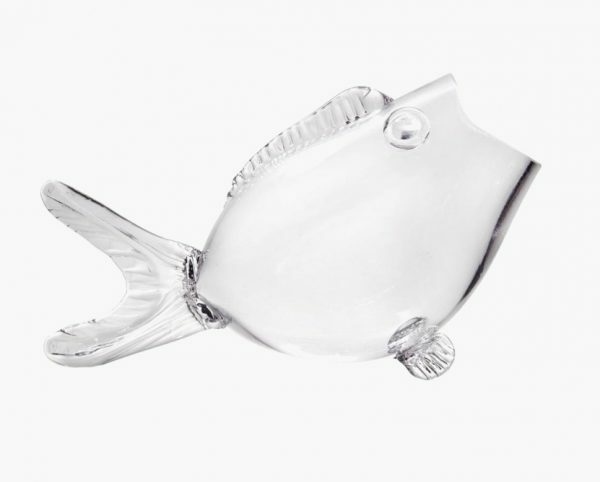 This thick, glass, fish-shaped bowl holds trinkets from the sea – or handy sweets for the grandchildren. 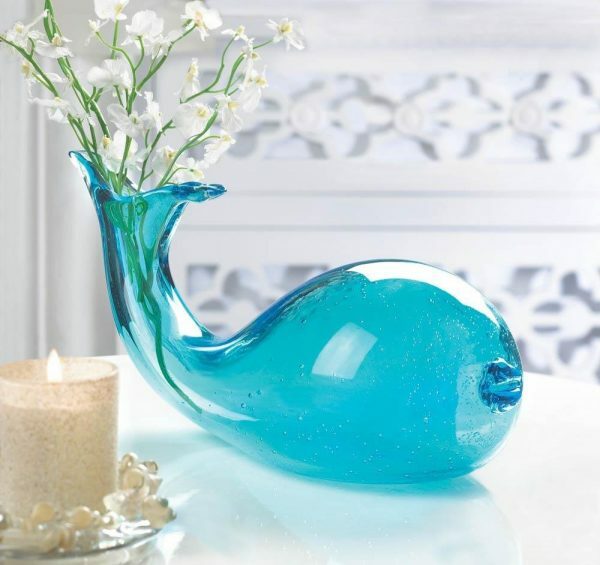 Whale Flower Vase: For a vase more colourful than its contents, look no further than this blue whale. Its unusual shape and spouting top say fun times at the beach. 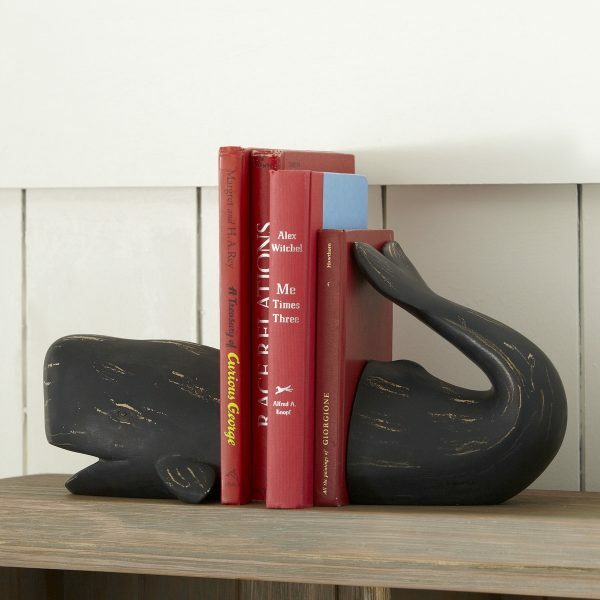 Whale Bookend: Collect together your whale of a library with these black-painted resin bookends. The whipping tail holds heavier books that fall off at the ends. 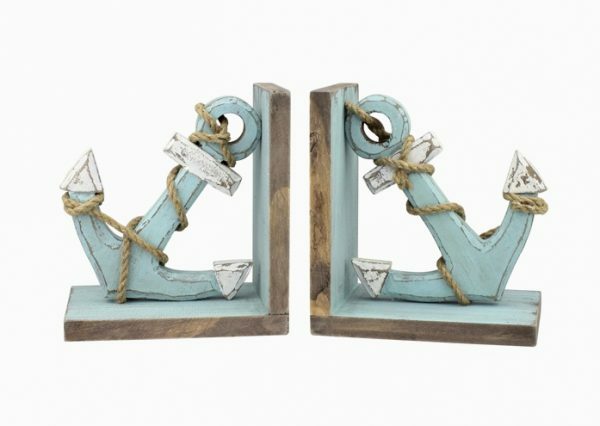 Nautical-Themed Bookends: An antique driftwood look adorns these unique bookends. Featuring light blue anchors twisted with wood, they’ll be sure to bring the seaside to your reading collection. 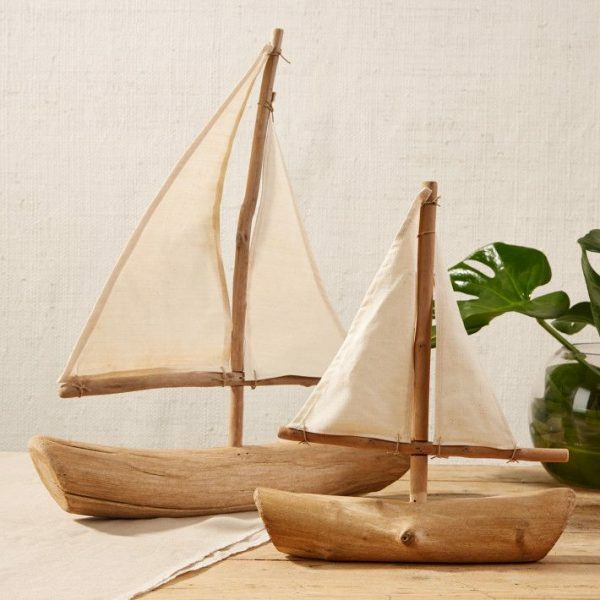 Rustic Driftwood Sailboats: The simple white and wood interior would appreciate these driftwood pieces. Great for the living room cabinet or home office, let them take you away to wilder shores. 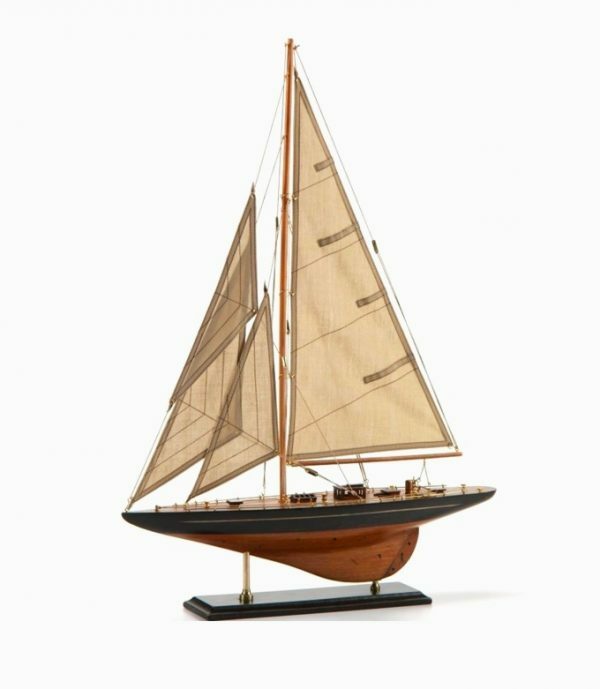 Wooden Sailboat Model: A more realistic sailboat suits the avid sailor. This wooden model would float upon a chest of drawers. 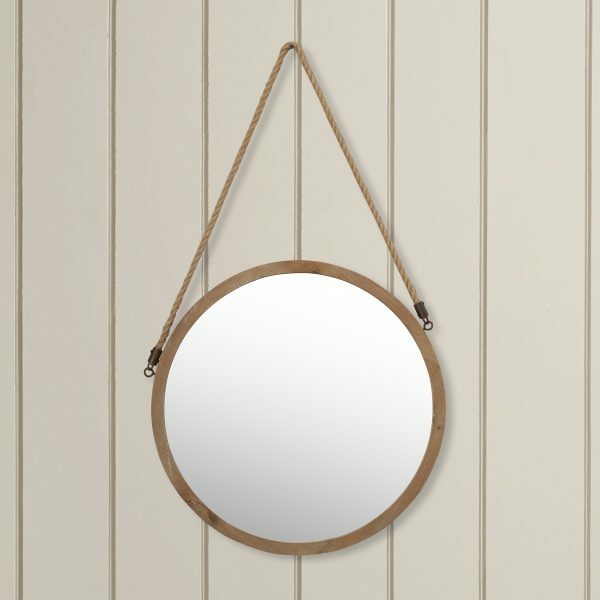 Round Mirror With Rope Hanger: Both Scandinavian and nautical, this hanging rope mirror looks simple and stylish upon a bathroom wall. 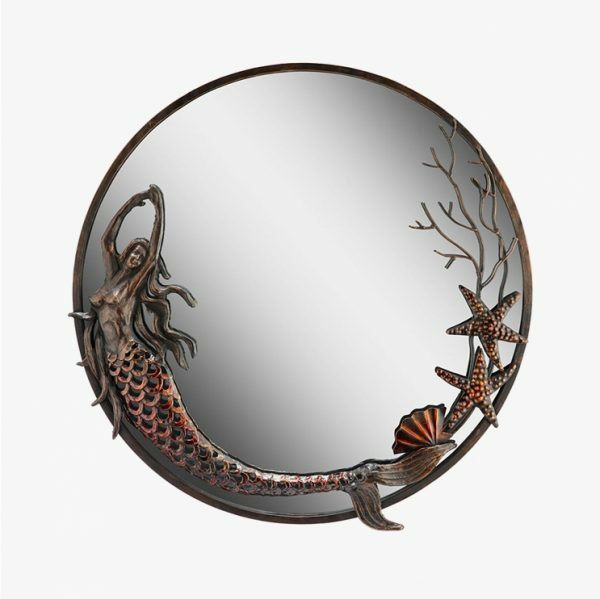 Mermaid Wall Mirror: Glass and iron produce a dreamy mermaid in this round mirror. Diving into the sea, a raft of starfish and seashells follow behind her. 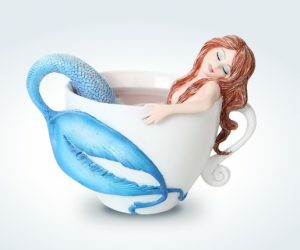 If mermaids are your thing, do check out our post on mermaid home decor. 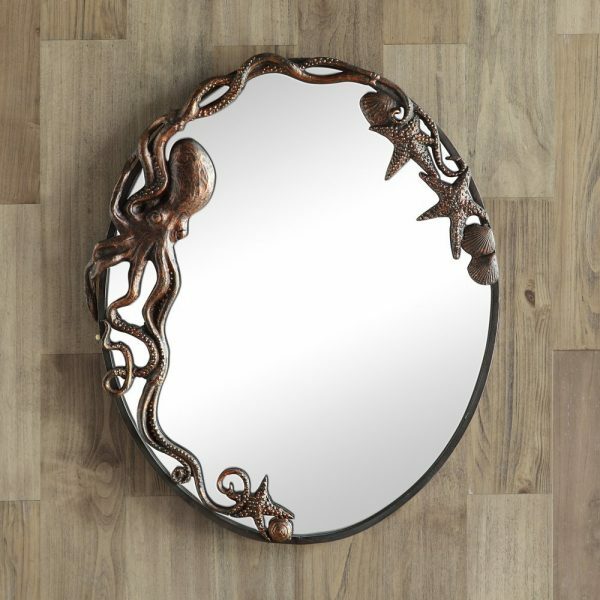 Octopus Wall Mirror: Prefer other eight-legged friends? Eight tentacles envelop this oval-shaped mirror for the oceanic bedroom. 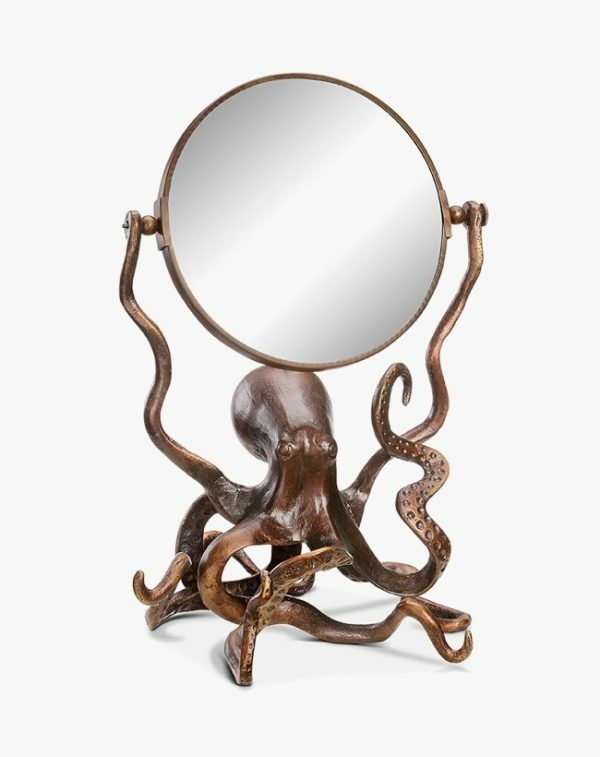 Octopus Vanity Mirror: The octopus lover gets a closer look in this tiltable vanity mirror. Check out more ideas with eight legs in our list of 50 octopus goodies. 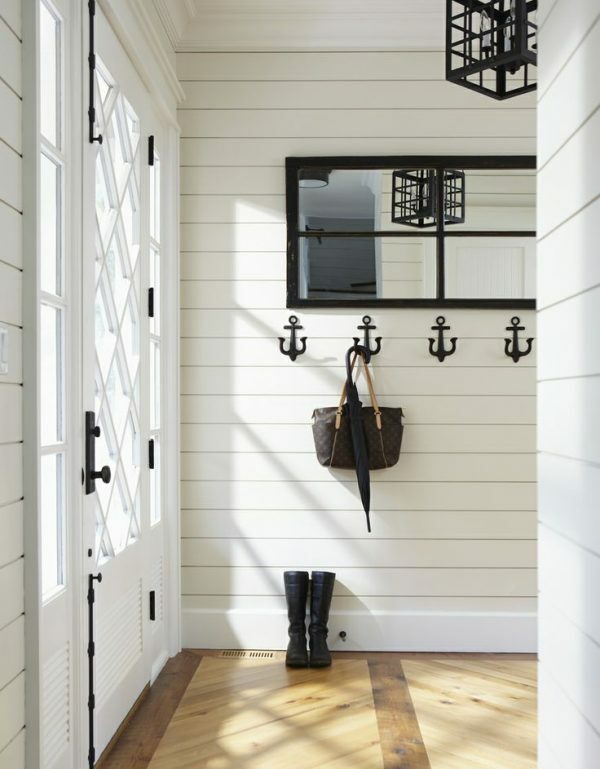 Cast Iron Anchor Hooks: Make an oceanic entrance to your seaside home with these anchor-shaped hooks. Hang them behind your door to air out the coats, umbrellas and summer togs. Metal Lighthouse Shelf: The perfect bathroom accompaniment stands with metal, four legs, and a space for towels. This lighthouse version hosts four tiers and a candle atop. 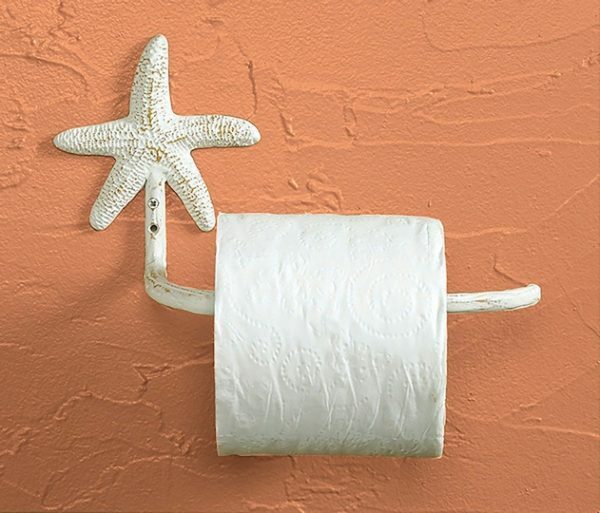 Starfish Toilet Paper Holder: Make the most basic of necessities beautiful, with this unique toilet paper holder presenting a starfish. 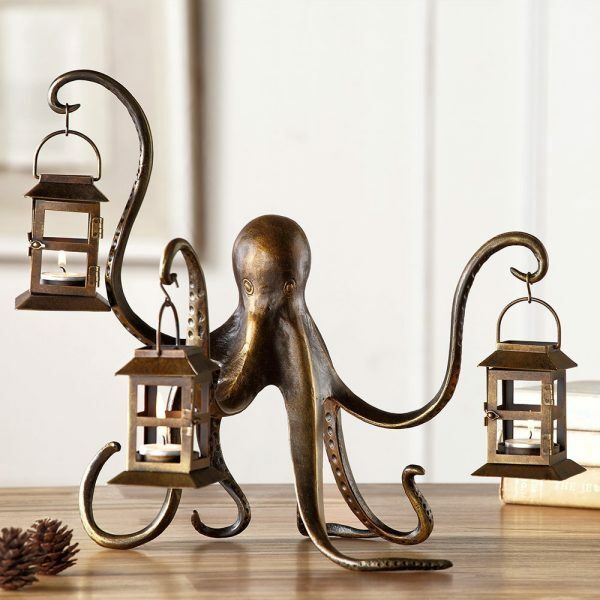 Octopus Lantern: Aluminium, iron and bronze come together in this lantern-holding octopus. 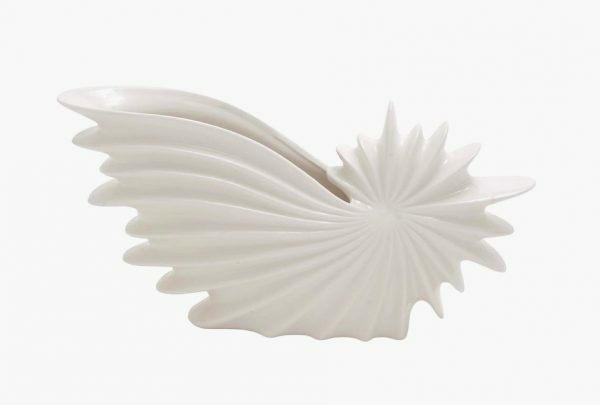 Let him carry a tealight on your nautically-themed dinner table. 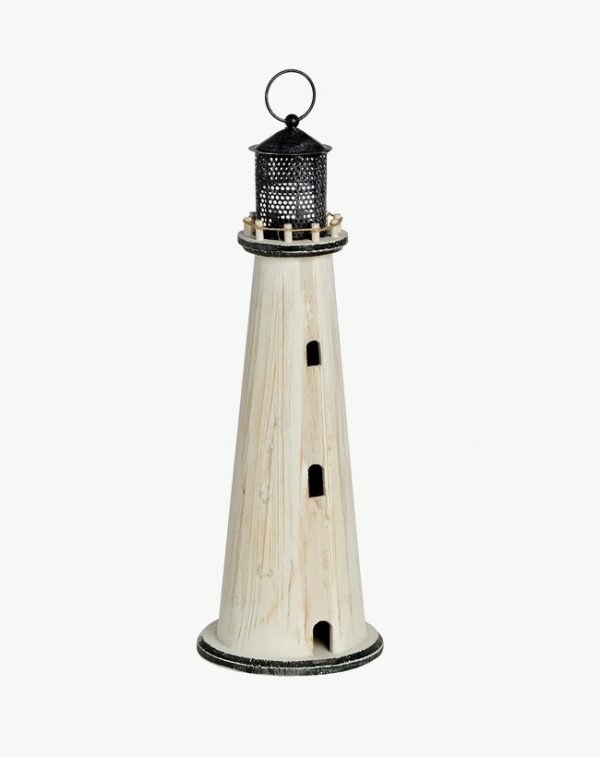 Lighthouse Tea Light Holder: This lighthouse tea light holder climbs candles to new heights. Place its wooden frame upon a ledge or dinner table for ambient conversation. 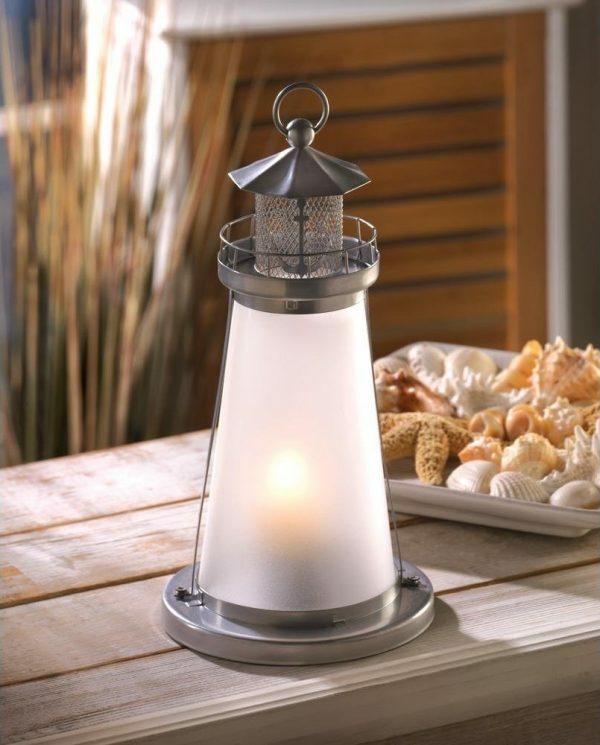 Glass Lighthouse Tea Light Holder: Light up the inner, not the outer, of your lighthouse with a tea light inside. This glass lighthouse glows the room with a covered flame. 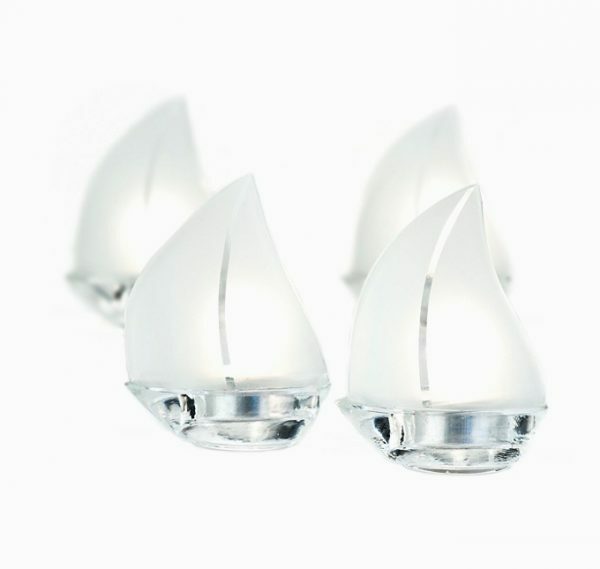 Sailboat Tea Light Holders: Place this set of four unique tea light holders on your bath edge, for a romantic swim in warmer waters. 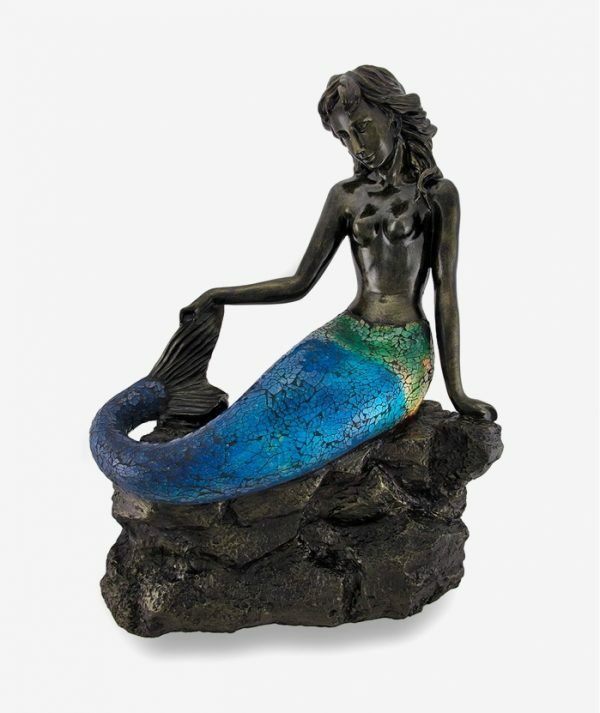 Mermaid Accent Lamp: Cracked glass and cast resin illuminate this mermaid’s tail. Set her womanly form on a bedside or entrance table. 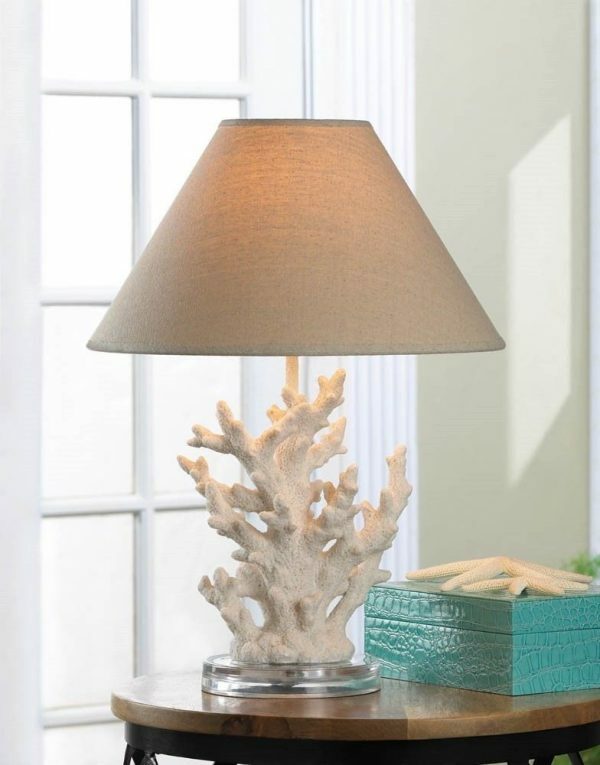 Lamp With Coral Base: Nautical home décor need not be colourful. This beige lamp with a coral base would suit the minimalist seaside home. Perfect as a bedside table lamp! 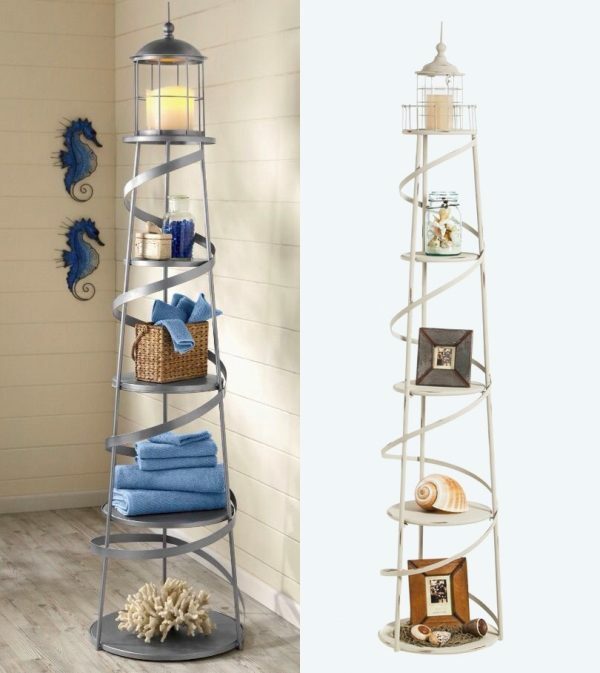 Nautical Tripod Floor Lamp: Searching for the last place you left your beach towel? 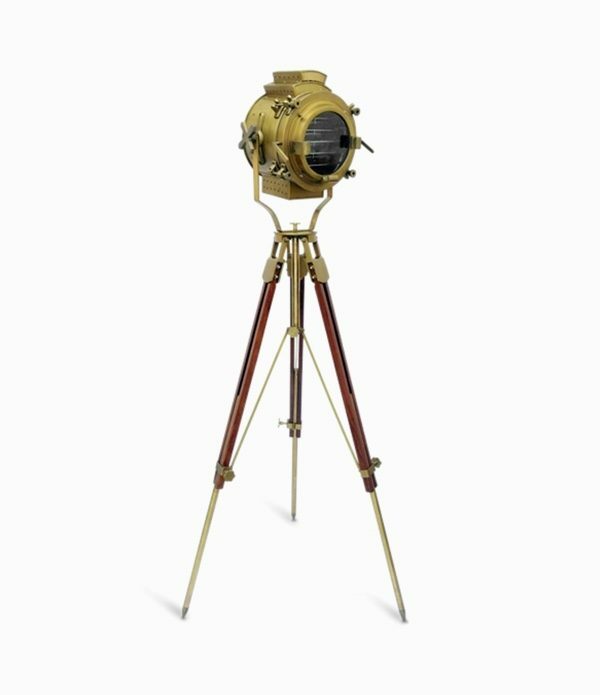 This nautical tripod light with searching lamp could help, whilst setting a well-lit scene. 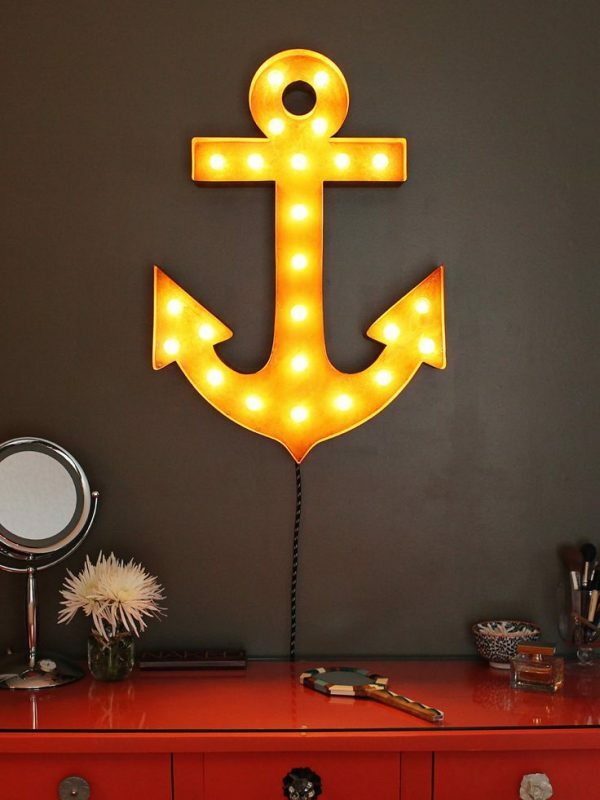 Anchor Marquee Light: Attached by a single cord, this find sees an anchor up in lights. 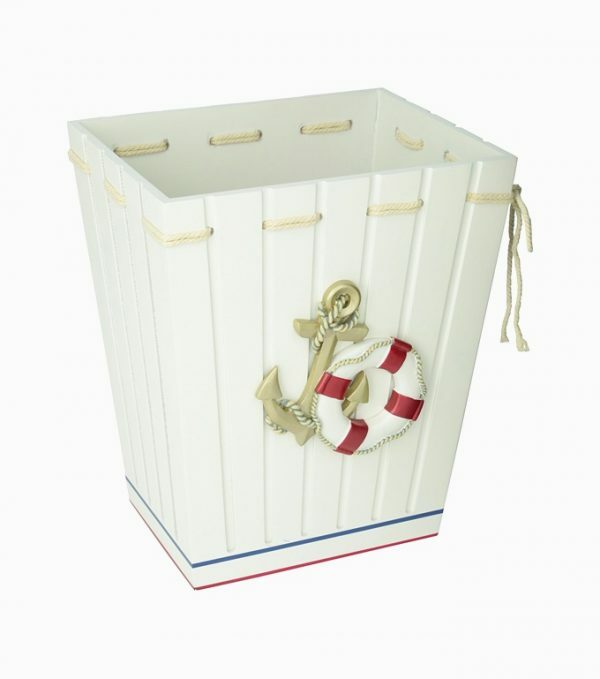 Hang it with pride at your next sea-themed or sailor-celebrating seaside bash. Nautical-Themed Boat Shelf: Painted blue and white wood give a new look to storage. Stand this stunning boat cabinet inside your sea-loving kids’ room. 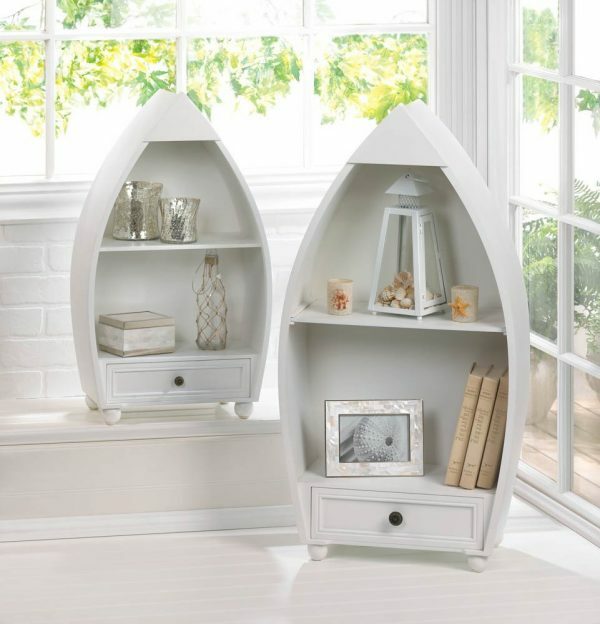 Rowboat-Shaped Curio Cabinets: Colour your rowboat in white, with these wooden curio cabinets. Two shelves and a drawer hold necessities in one nautically-inspired shape. 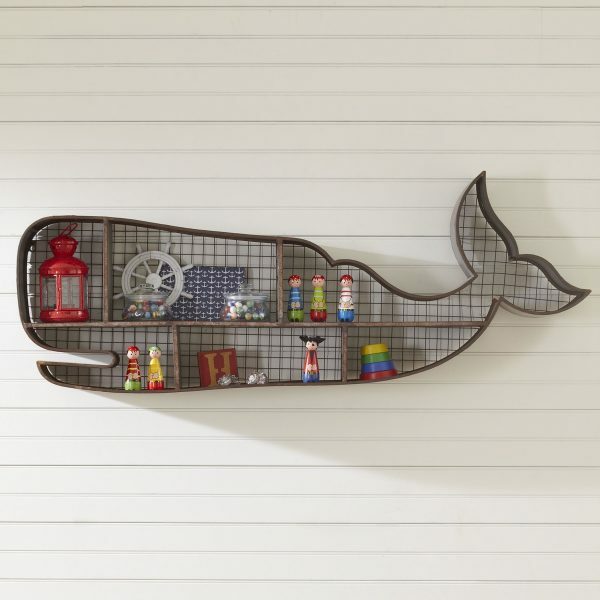 Nautical-Themed Whale Wall Shelf: This industrial metal frame takes the shape of a whale. 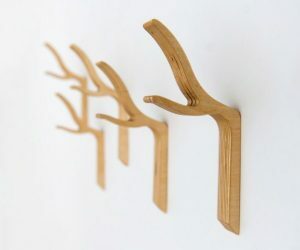 Hang your trinkets out of reach in one fun, wild shape. 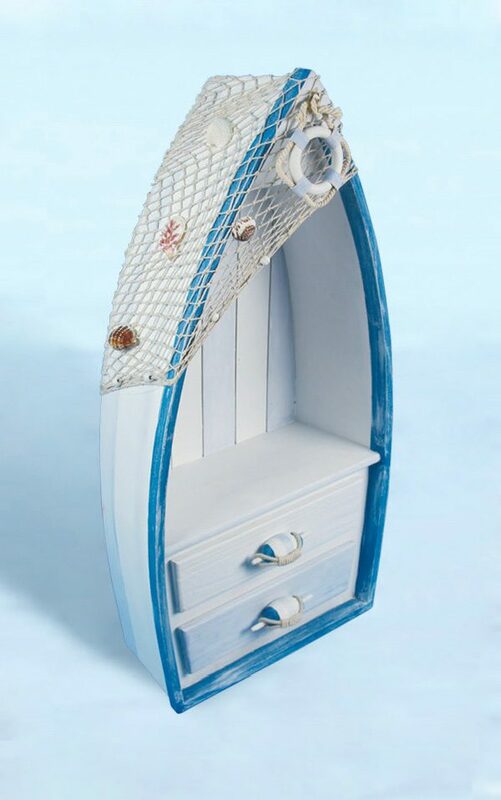 Nautical-Themed Basket: Want an inspirational way to store your laundry? This painted white hamper hides your under things, in one pretty package. Do check out our unique laundry baskets post if you want more ideas for laundry storage. 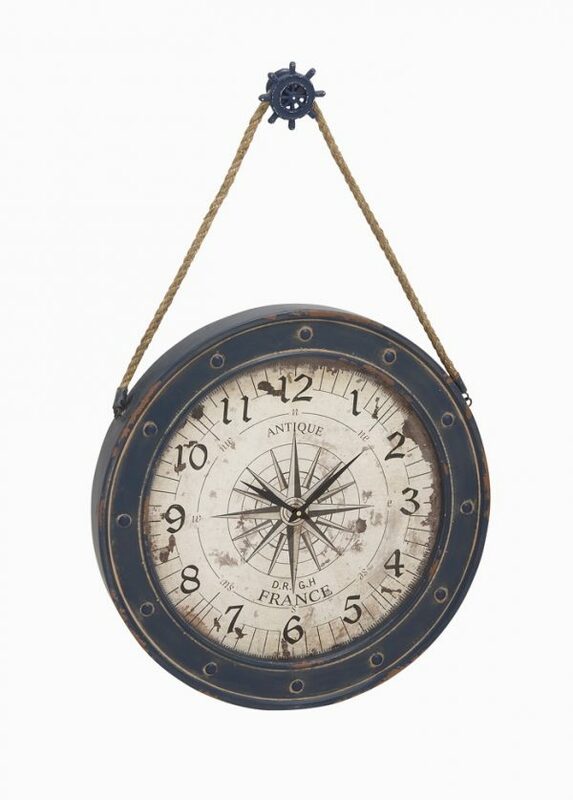 Nautical-Themed Wall Clock: Tell the time and the direction, with this compass-look clock. 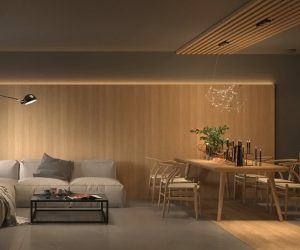 A hanging rope and circular shape fit the Scandinavian apartment. 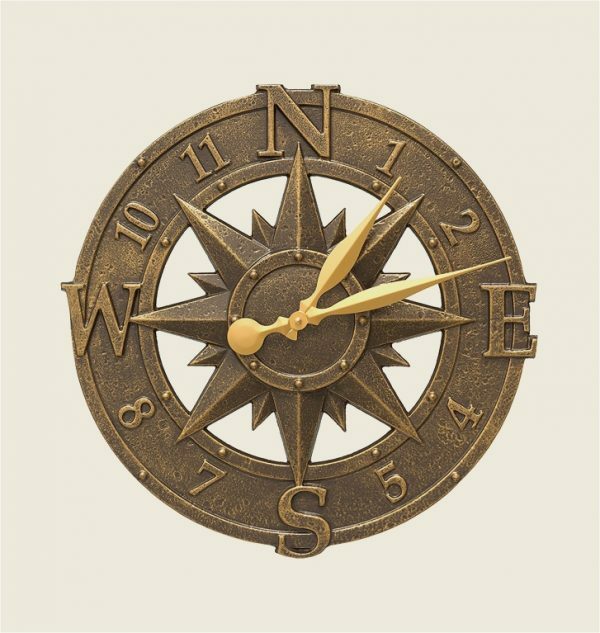 Bronze Compass Themed Clock For Indoor/Outdoor Use: Need a clock beside the barbie? This aluminium find can be an indoor or outdoor design solution. Ship Wheel Clock With Sailor Knots: Carved from solid wood, this white-painted clock mimics the wheel of a ship. Dream of sailing time as its fine form and carved knots grace your office wall. Nautical-Themed Wall Art: Excited by all things nautical? 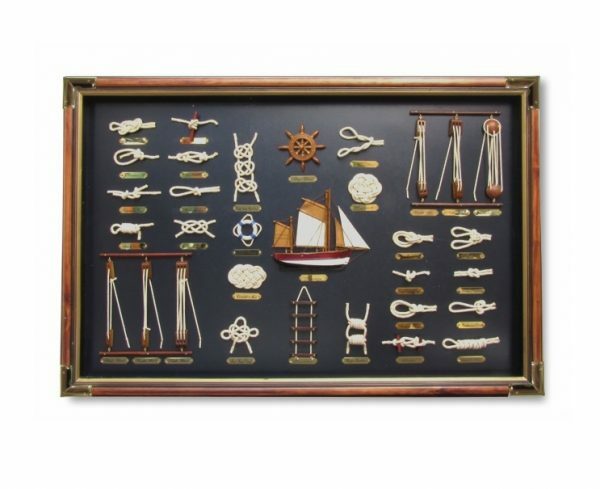 This collection of rope knots, ship wheels, boat models and ladders give you a taste of sea spray everyday. 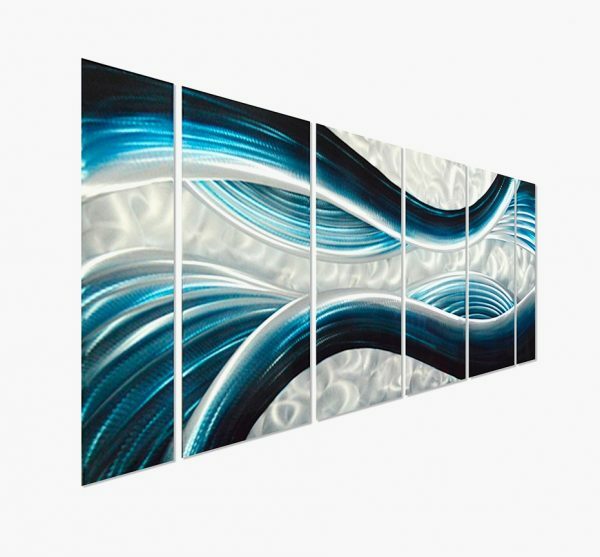 Abstract Ocean-Themed Wall Art: For artwork with a difference, base it on metal. This brightly-coloured six piece shows the ocean in full flow. Nautical Patents Artwork: Ever wondered how some ships became famous? These artworks detail the patents behind famous sea inventions. 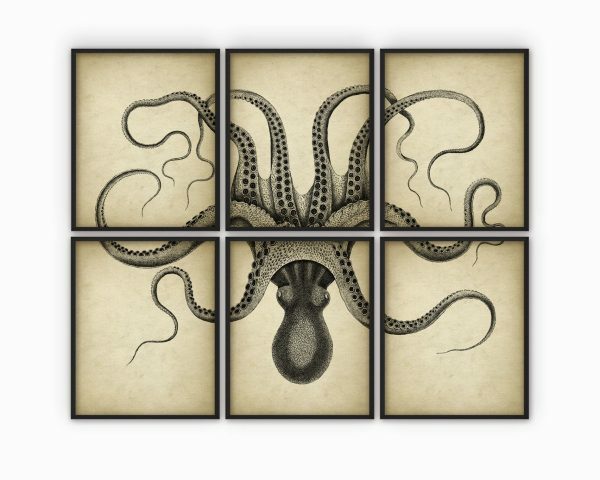 Octopus 6-Piece Poster: The octopi lover finds six times the magic in this multi-piece artwork for a large wall. Muted colouring and canvas backing means this octopus can sit up or down. 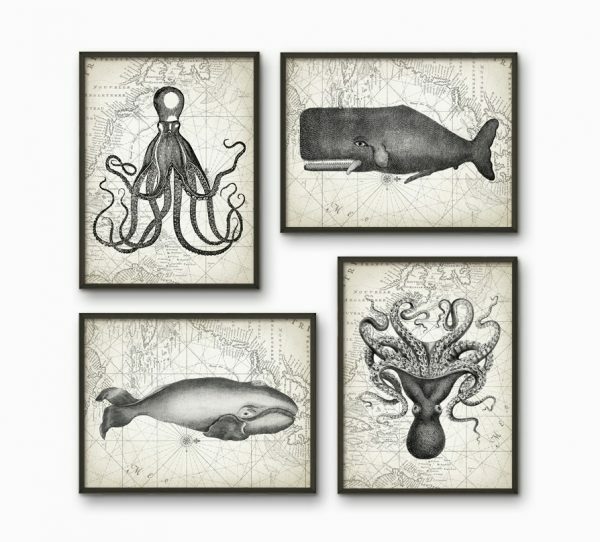 Creatures Of The Sea Poster Set: Need all the sea creatures in your life? This set of four posters teach your kids about the world’s most amazing aquatics. Navy Blue-Striped Bedding Set: Bring the ocean in, in a less obvious way. This navy-blue set makes sailing references work with a range of interiors. 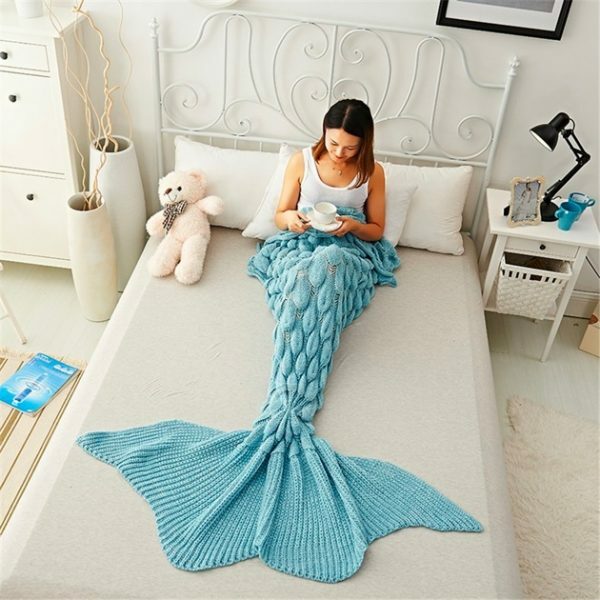 Mermaid Tail Blanket: The sea-mad princess needs a beautiful mermaid tail. 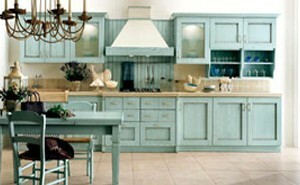 This turquoise delight mimics the end and body, in one cosy design. 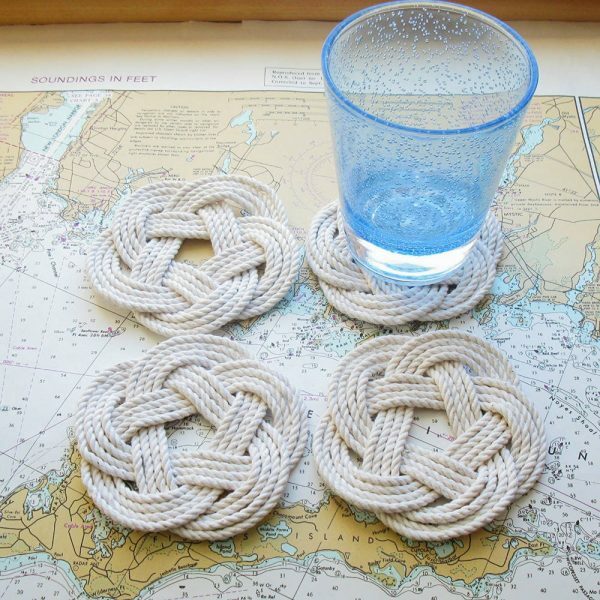 Nautical-Themed Coasters: Not after rope knots on your wall? Slide them under your drinks instead, with these gorgeous finds fit for a cool coaster post. 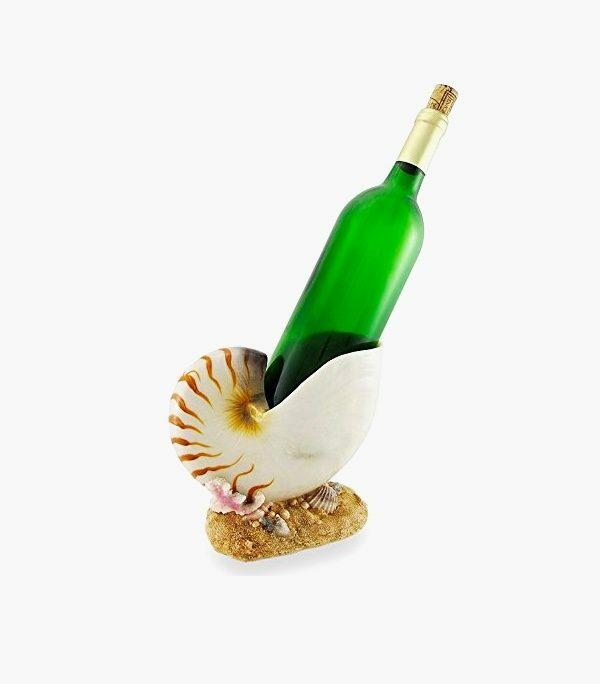 Seashell Wine Holder: Add a nautical edge to your summer drinks, with a nifty bottle in this unique wine holder. 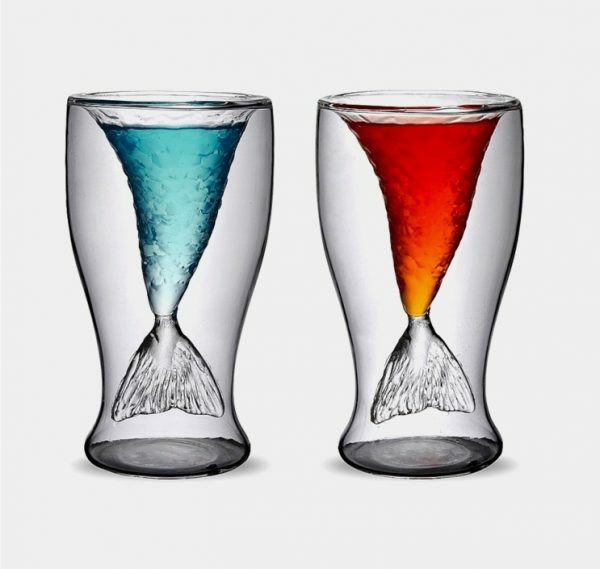 Mermaid Tail Glass Tumblers: Create an optical illusion at the breakfast table, with these mermaid tail glass tumblers. 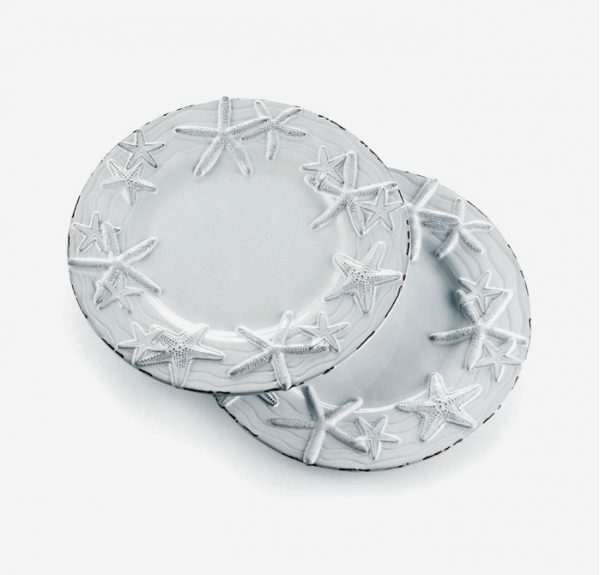 Starfish Dinner Plates: A homage to starfish, these terracotta plates are milk-glazed for consumption. Line them across a rustic-looking table, for a beautiful segue to a fish-based menu. 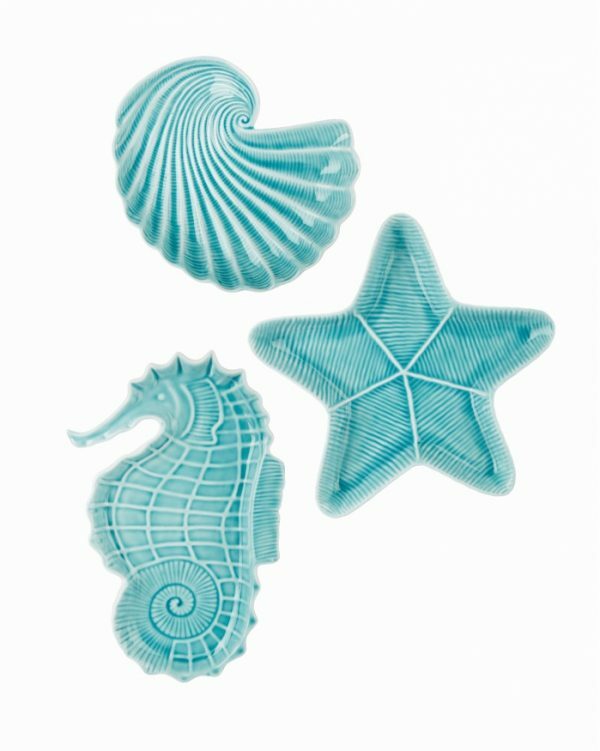 Sea Creature-Shaped Plates: Serve salmon hor d’oeuvres on these ceramic plates, for a sea-themed experience tinted with turquoise. Coastal-Themed Dessert Plates: No meal is complete without dessert. 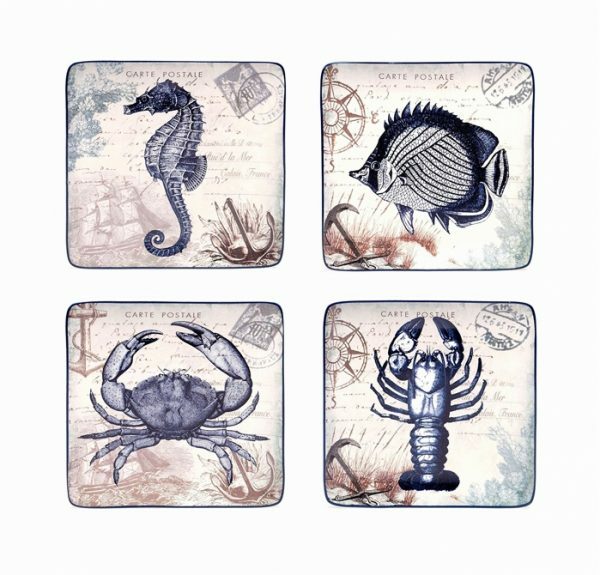 These square plates featuring crabs, scorpions, seahorses and fish find a beach-themed way to offer up a slice. 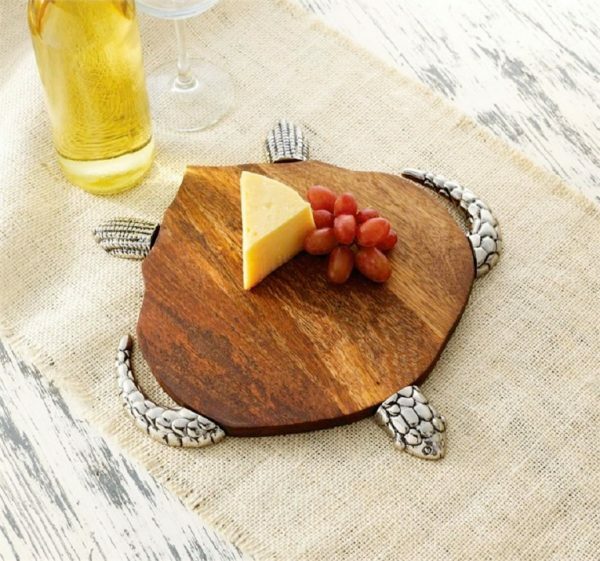 Turtle Cutting/Serving Board: The cheese lover will find favour in this adventurous cutting board. Made of polished wood upon a popping metal turtle, its surprising shape is sure to be a hit. 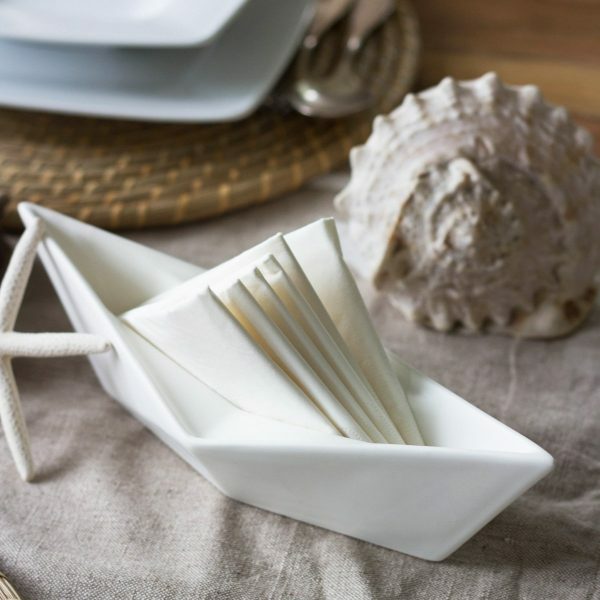 Sailboat Napkin Holder: A minimalist intro into nautical home décor, this ceramic sailboat offers napkins after seafood. 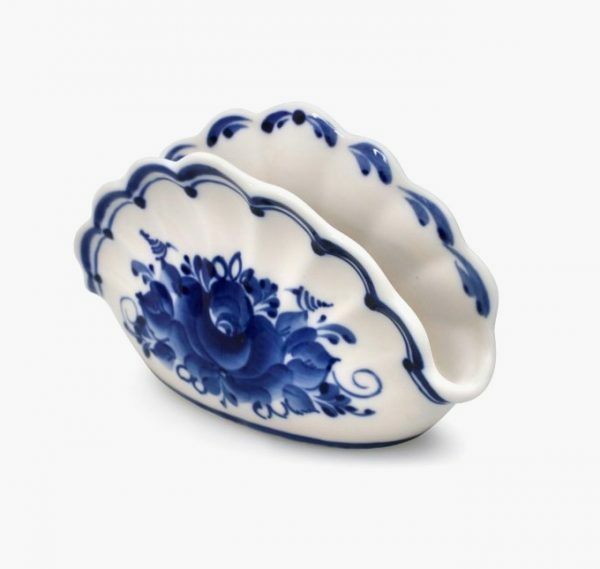 Seashell-Shaped Napkin Holders: The more elaborate dinner may consider these painted napkin holders, elegantly formed in the shape of seashells. 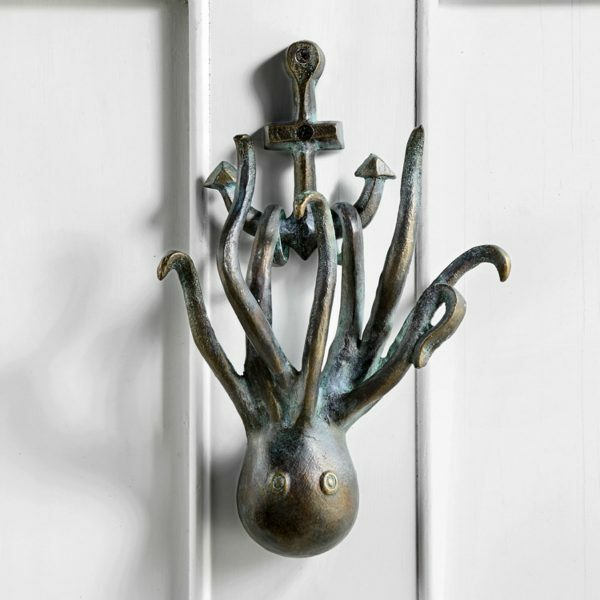 Octopus Door Knocker: Not a fan of the modern door bell? Let this metallic octopus be one of the more unique door knockers in the neighbourhood. 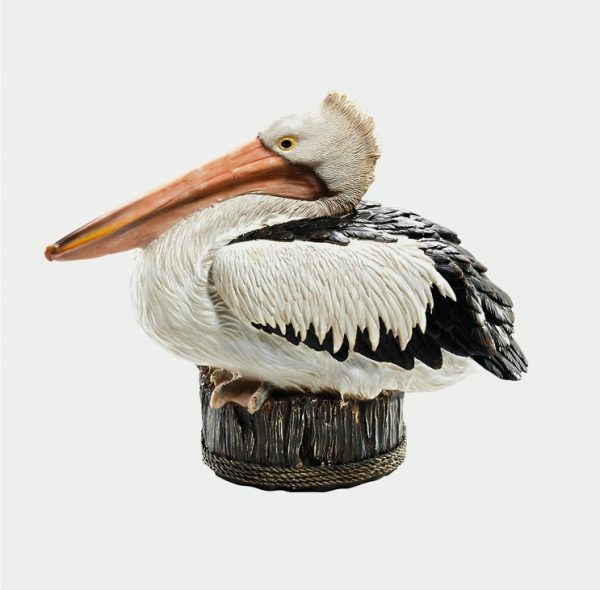 Pelican Statue For Indoor/Outdoor: After a slightly different animal? Let this pelican catch fish inside or outside your beach home. 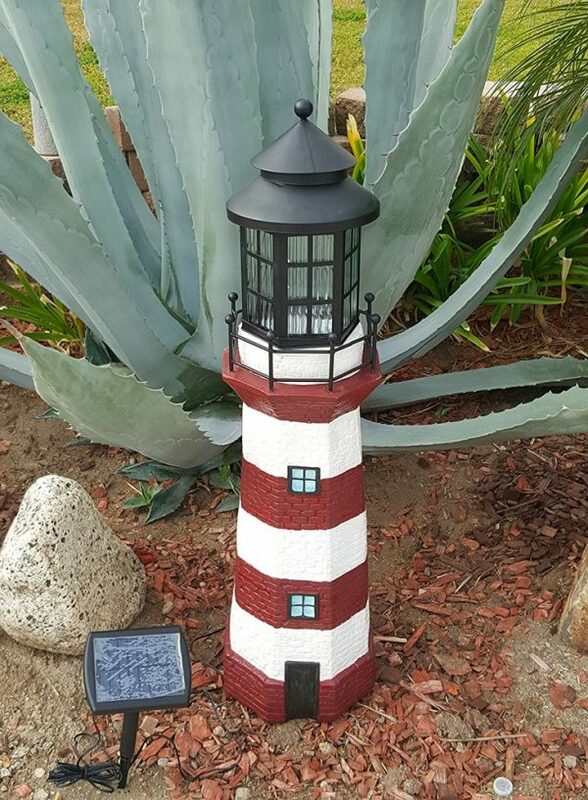 Solar-Powered Outdoor Garden Lighthouse: A lit beacon in the garden, this painted lighthouse guides the way to your beach house at night.